Sergio Aguero says Argentina’s World Cup exit will hurt Lionel Messi the most because of all the pressure on the Barcelona star’s shoulders. France knocked La Albiceleste out of the tournament on Saturday with a 4-3 win that sends them into the quarter-finals where they will face Uruguay. Aguero says it’s a tough time for his team and particularly for their captain. “We are all hurting, especially Leo. He is, for sure, the one who is the most hurt because all the pressure is on him each time the national team plays,” he said. “When we lose like this, there just isn’t much to say. We simply have to thank the fans who came here for their support.”, Aguero told ESPN. 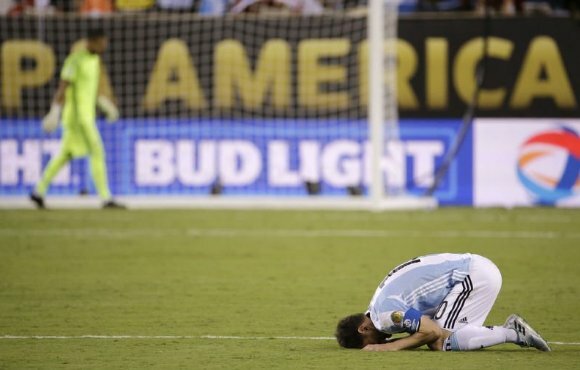 Messi is yet to offer his view on the World Cup and whether he will continue with the national team, but it’s entirely possible this will be his last World Cup.